About the author: Betsy’s entire marketing career has exclusively focused on the STEM market, with a distinct emphasis on Pharma. 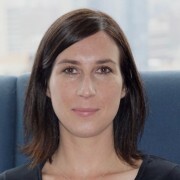 During her tenure with Elsevier’s Corporate R&D group, she has managed market segmentation for the pharma and life sciences industry, and launched and manages The Hive, a partnership with a select group of biotech and pharmaceutical start-ups focused on early stage innovation in drug discovery and development. The program promotes collaboration and inspiration across the Pharma & Life Sciences industry. Prior to launching her marketing career, Betsy worked as a management consultant focused on strategy implementation. She holds an MBA from the University of Michigan’s Ross School of Business and a BA from Barnard College of Columbia University.